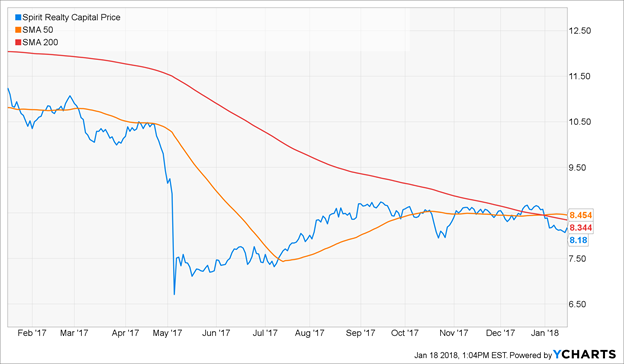 Our previous Stock Exchange asked the question “will market sentiment turn bearish soon?” We reviewed the continuing market rally, and warned against complacency in trading. If you missed it, a glance at your news feed will show that the key points remain relevant. This Week: Are You Still On The Sidelines? The stock market has been “off to the races” to start 2018, and that is creating an uncomfortably eerie feeling for many traders. Perhaps still emotionally scarred from the terrible start to 2016, some traders are missing out on the gains, choosing to instead sit on the sidelines. Perhaps it is this short-term consolidation that many traders are waiting for as an opportunity to get off the sidelines. 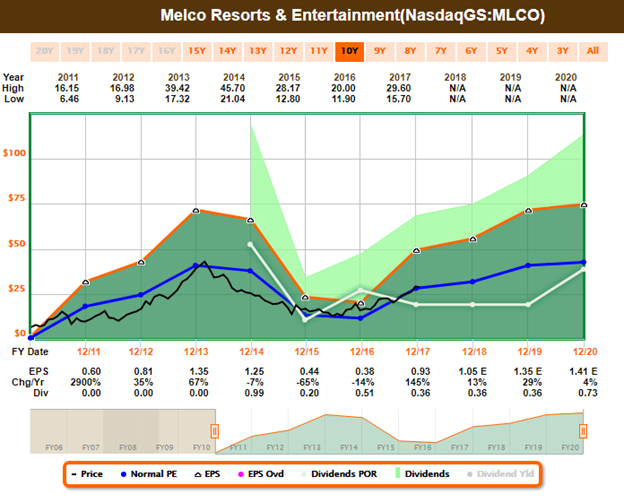 Holmes: This week, I bought Melco Resorts & Entertainment (MLCO). This stock’s recent dip is the sort of setup I like to see. From the chart below, you can see the dip, and you can see it has attractive upside over the next six weeks. Blue Harbinger: Interesting pick, Holmes. I do see the dip, and I know you bought earlier this week (as you always do), so you’re off to a good start on this trade. Can you give us a little more color on why you like it? Holmes: As you know, my style is based on dip buying and mean reversion. However, you may not be aware that I’m really into protecting assets, too. My process drastically reduces vulnerability to drawdowns while attempting to stay invested for the longest possible period of time. I use a mix of trading techniques (including profit taking, stops, and trailing stops) and technical analysis. BH: Well you are in good company on this pick, Holmes. Morgan Stanley lifted its long-term industry-wide revenue forecast and price targets on key casino stock names, such as Melco. Lots of stocks across this Macau casino group are higher this week. And why shouldn’t they be as the economy remains strong and per capita income rises. Here is a look at the FastGraph. Holmes: You’d think it’d be challenging to find good “dip-buying” opportunities considering the market has been so strong lately, but it’s not—there’s still lots of good trades out there. BH: Thanks, Holmes. I’ll check back with you on this trade next month, considering your typical holding period is about six weeks. How about you, Road Runner—what have you got this week? 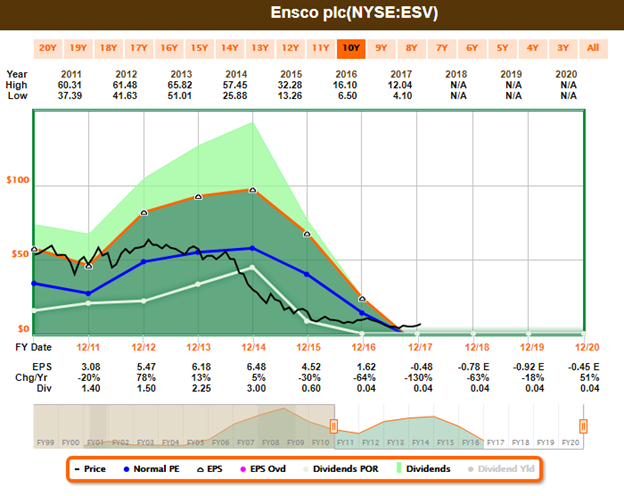 Road Runner: This week I like Ensco (ESV). Are you familiar with this stock, Blue Harbinger? BH: I am familiar. Ensco is an offshore drilling company with a market cap just below $3 billion. And with the strength we’ve seen in oil prices in recent months, it’s not surprising you’d like this type of company. RR: As you know, I like to buy stocks that are at the bottom of a rising channel. And based on the following chart, you can see why I like Ensco. BH: Well, you’re arguably in good company on this trade, Road Runner—apparently David Einhorn of Greenlight Capital also recently initiated a position in Ensco. This company was unprofitable through the first three quarters of 2017, but it announces fourth quarter earnings next month, and the market could be in for a pleasant surprise, unless you’re one of the short sellers (currently about 15.8% of the shares are sold short, and that’s down from over 30% in October). For your reference, here is a look at the Fast Graph. RR: I am aware of oil prices and the short interest. My typical holding period is about 4-weeks, so I’ll likely be out of this stock before the company’s next earnings announcement. And worth noting, options expiration is this Friday, and that could cause some exaggerated market moves too. BH: Interesting information. I’ll check back with you on this one in about 4-weeks. Anyway, how about you, Athena—what have you got this week? Athena: This week I sold my shares of Sprint Realty (SRC). If you recall, I bought the shares back on June 26, 2017. BH: Based on the above chart, it looks like you did alright on this trade. Remind us, Athena—what is your trading style? Athena: I am a momentum trader. I typically hold my positions for about 17-weeks, although this one was a bit longer. For risk control, I use price targets and stop orders. BH: Well it’s interesting to see you trading a big dividend REIT (SRC yields 8.8%). And it looks like you bought shortly after it announced unusually high credit losses and lowered AFFO guidance. 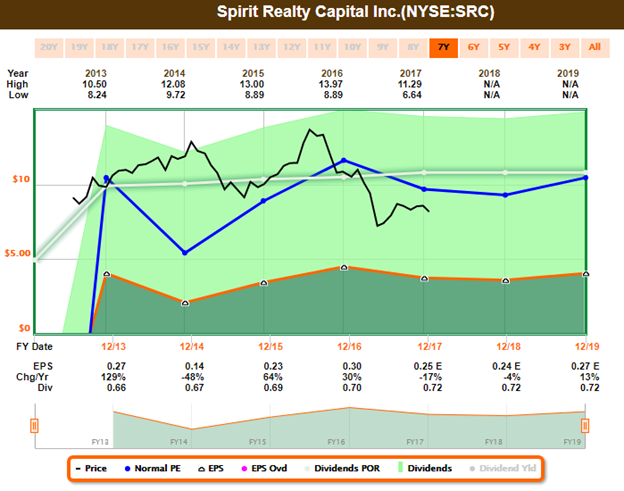 I’d likely have stayed away from a low quality REIT like SRC, but I’m glad to see your trading approach was successful. 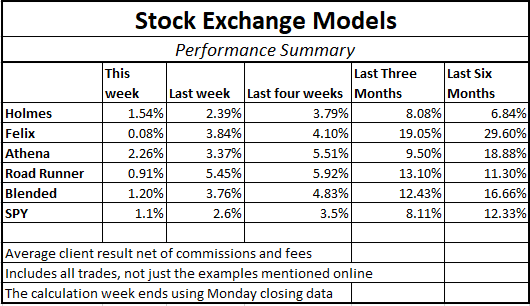 Felix: I have no stock picks this week, but I did run the Nasdaq 100 stocks through my model, and I’ve ranked the top 20 in the following list. BH: That’s an interesting list, Felix. I see a lot of the usual aggressive growth suspects on your list, such as chipmakers Nvidia and Micron, and FANG stocks Netflix and Amazon. I’m assuming you’re a momentum trader? And apparently you’re not afraid the market is frothy? Felix: Correct. I am a momentum trader. And I’m not afraid the market is frothy. I typically hold my positions for about 66 weeks—which is much longer than the other models. I exit when my price target is hit, and I use stops and macro considerations to control risks. And did you happen to notice my strong performance in the performance table earlier in this report? Oscar: This week I’m sharing my top 20 rankings from my Diverse ETF universe. BH: I love this list, Oscar. 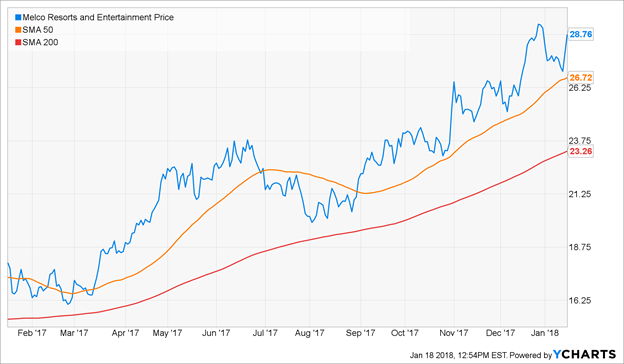 You have all kinds of momentum ETFs on your list ranging from the inverse volatility index (XIV) which is a trade that’s been absolutely winning for about 2-years straight now, to the online retail ETF (IBUY), to the semiconductor ETF (SOXX). This is good stuff, Oscar. Thanks for sharing. Oscar: You’re welcome. And in case you’ve forgotten, I am a momentum trader, and my typical holding period is about six weeks. I use stops to protect against downside, and I exit by rotating into another sector. It’s easy to say you’re waiting for a pullback before you enter the market. Unfortunately, that’s a strategy that hasn’t worked all too well lately considering the market’s strong start to 2018 is essentially a continuation of its strong performance in 2017. 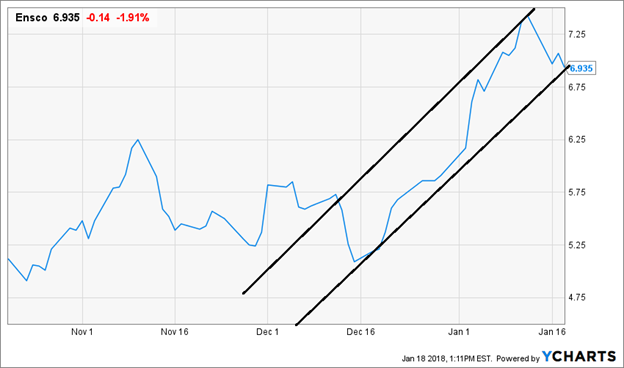 As you can see in our earlier performance table, our “dip-buying” strategy (Holmes) has put up positive numbers in recent months, but not nearly as positive as our momentum traders. In aggregate, we prefer a blended approach including both momentum and dip-buying strategies. And we’re not sitting on the sidelines with our capital because we believe we can continue to generate strong trading profits whether or not that market pullback arrives anytime soon.